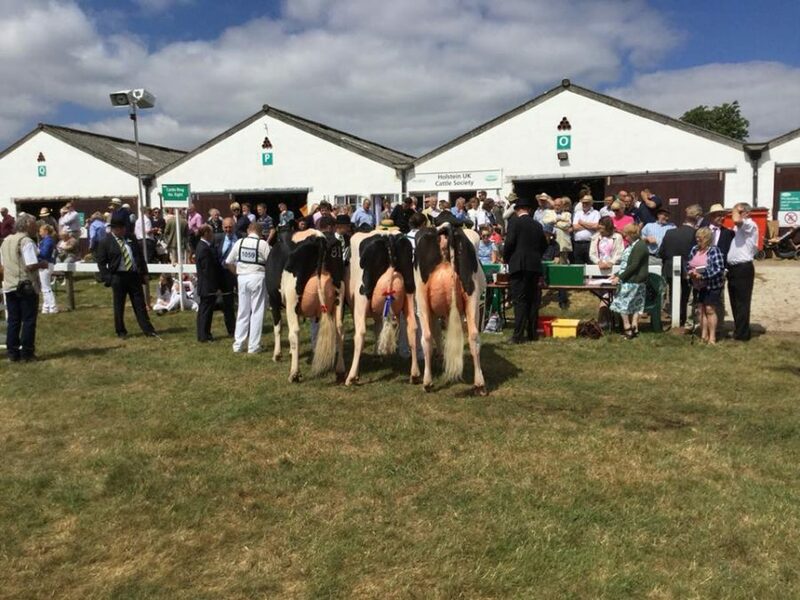 The Great Yorkshire Show (UK) drew more than 130,000 visitors over its 3-day duration, This year the show is celebrating its 160th year. Claiming the topspot in the Holstein Ring for Judge Brian Miller was 3rd calf 4-year-old Saxelby Brady Amber exhibited by R & E Butterfield. Reserve went to 2-year-old Milliedale Commander Rhapsody who is backed by an EX-94 Dusk, EX-97 Goldwyn and then 12 generations of straight EX. Shawdale Pamela 119 (Atwood-Stanleycup) took HM.